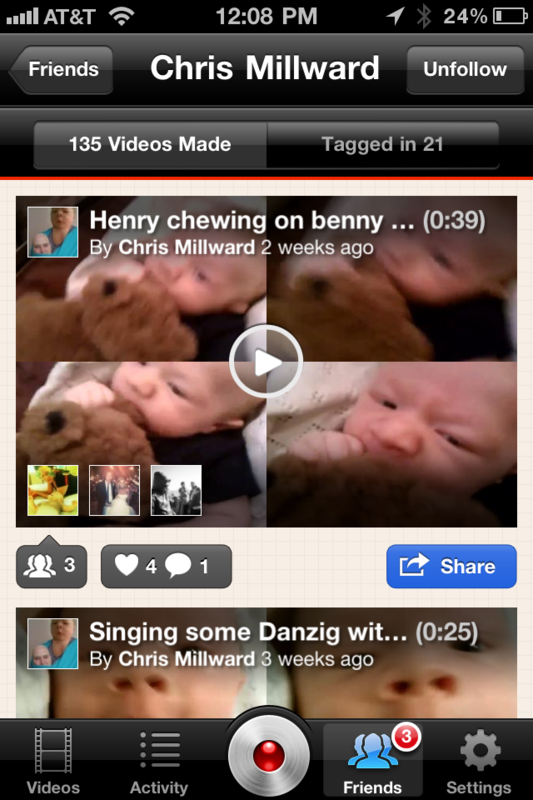 Socialcam Crosses 2M Downloads, Adds (Wait For It…) Video Filters! Socialcam, the ‘Instagram for Video’ that launched shortly before this year’s SXSW, has crossed a major milestone this week: it’s now been downloaded 2 million times across iOS and Android devices since it launched six months ago. It’s also launching the 3.0 version of its app, which adds a feature that makes the comparison to Instagram even more apt: you can now add video filters. You can find it on the app store right here. Yes, starting with Socialcam 3.0 you can choose to give your videos a “70’s” or “Bohemian” or vibe, or you can use experimental filters like “Electronica”. You can see the effects rendered in the viewfinder before you start recording, so you have a sense of what each looks like beforehand. The service has added several other features since we last wrote about it. For one, it’s now possible to create private accounts, where you specify who has access to your videos (before now everything was technically public, though it was hard to find videos of people you didn’t know). And you can now set the app to launch directly to the camera rather than the Socialcam UI — which is key if you’re planning to use it as your default camera. Socialcam was originally created as a side project at Justin.tv — it spun off as an independent startup in August (Justin.tv’s then-CEO Michael Seibel became Socialcam’s CEO, and Justin.tv cofounder Emmett Shear took his place).